California has seen a lot of rain this year, so much that we are out of a drought! I celebrated by checking out Sempervirens Falls for the first time. 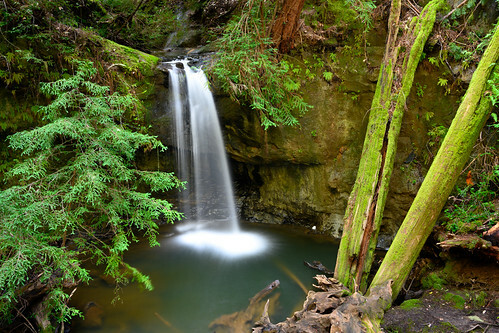 Big Basin Redwoods State Park never disappoints, and this waterfall is easy to get to and great to photograph. 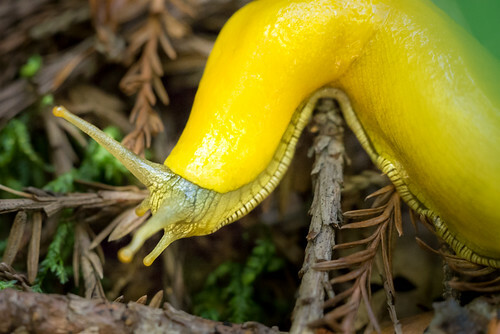 I found this banana slug just sliding around the floor of the redwood forest. He can’t really see, just detect light and movement, which might explain why he thought it was a good idea to go over this stick but ended up searching around in the air for his next move. What does this look like to you? 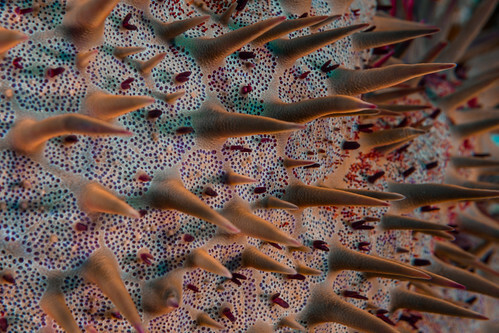 Some type of microbe, a spiny cactus or a sea creature? If you guessed sea creature you’d be correct, and this one isn’t nice at all. It is a crown-of-thorns starfish, and this nasty guy eats the coral reefs. Close up you can see his sharp spikes and understand why most other animals don’t mess with him. 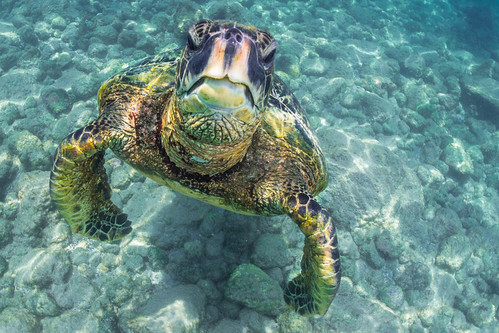 Today is World Turtle Day, and to celebrate, check out this green turtle I encountered while snorkelling in Hawaii. I hadn’t seen very much until this guy started swimming towards me! I could almost hear him say “You lookin’ at me?” but I think he just caught his reflection in my lens and wanted to have a look. This left me with a great opportunity for a close up! 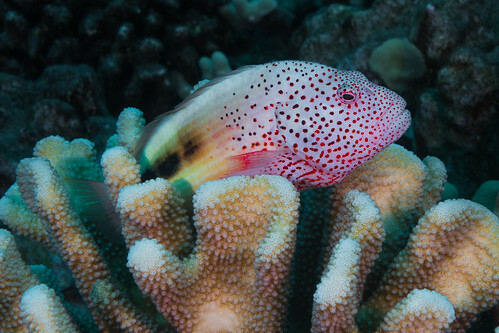 This fish must have thought he was perfectly safe in the coral. Eventually I got too close and he took off, but I had time to get this shot while he was just hanging out doing his thing. Look at those pearly whites! 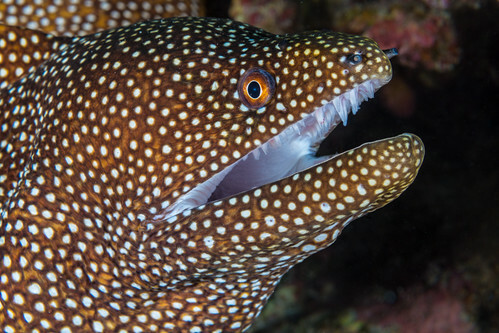 I’d hate to have to brush all those crazy teeth, but this whitemouth moray eel doesn’t seem to have an issue keeping them looking sharp. They seem vicious since they are always opening and closing their mouths, but they do that to breathe. This one let me and my camera get quite close for a photo. The tide went out, the sun went down. I was left on a cold dark beach. 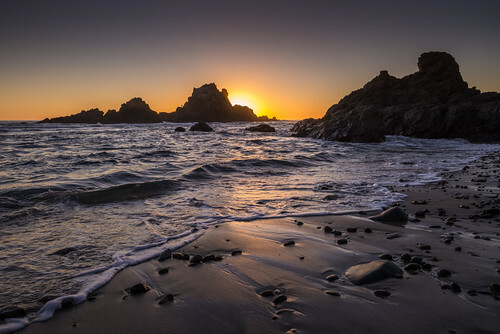 It was all worth it to get to see the sun sneaking behind these rocks over the ocean! Wide angles can do interesting things. Sometimes good, sometimes bad. 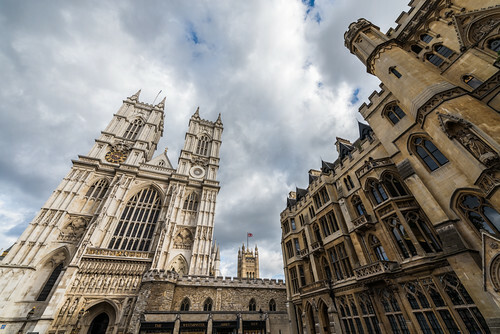 From this angle it looks as if Westminster Abbey is reaching up to some imaginary point way up high in the puffy clouds. “Hey look kids, there’s Big Ben, and there’s Parliament.” I would call this tower by its more common name, but then I always have to repeat that classic line from “National Lampoon’s European Vacation” over and over. I bet you have seen pictures of this famous tower many times, but I like this take on it. 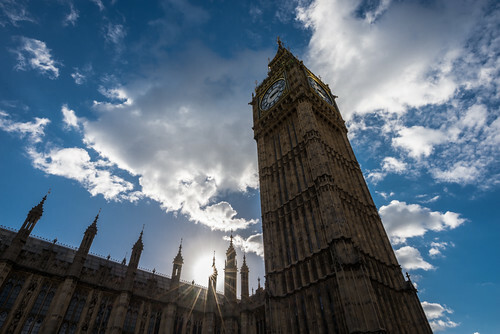 The dramatic clouds in the sky and the sunstar make this London landmark just one of the things going on in the scene. 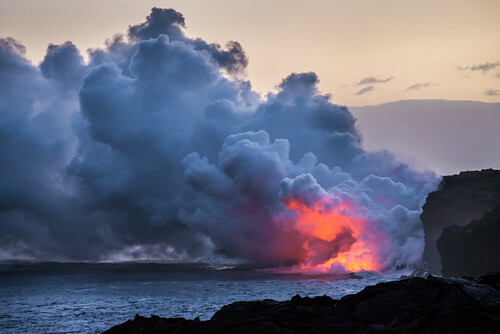 Copyright © 1996-2014 fstopandsee. All rights reserved.